Warpaint want to put you in a trance. Every tune on their first full-length, The Fool, is designed for maximum spaciness. As with their debut EP, 2009's Exquisite Corpse, it's not about the songs, it's about the vibe. Warpaint are essentially a traditional rock band; guitars, bass, drums. Their roots are firmly in the 90's. "Undertow" explicitly grabs the melody from Nirvana's "Polly." The album is awash in reverb and stately tempos, recalling slowcore pioneers, Mazzy Star. The Fool focuses on the moody, droning vocal and electric guitar interplay of Emily Kokal and Theresa Wayman. They swoop in and around each other with unorthodox harmonies, shared leads and ghostly chants. Their singing is rarely assertive and sometimes out of tune, but the girls deliver with a conviction and a blissed-out attitude that renders these issues just shy of irrelevant. The guitars cover a lot of space with chiming arpeggios and treble-heavy chordal riffs. The rhythm section of bassist Jenny Lee Lindberg and new drummer Stella Mozgawa is extremely dynamic, full of stops and starts. Tempos swell and sag in a way that doesn't always feel intentional. But Lindberg plays with a deft, swooping funkiness and Mozgawa is extremely sensitive to the emotional peaks and valleys of the song, not content to simply lay a foundation, never overstepping her bounds. 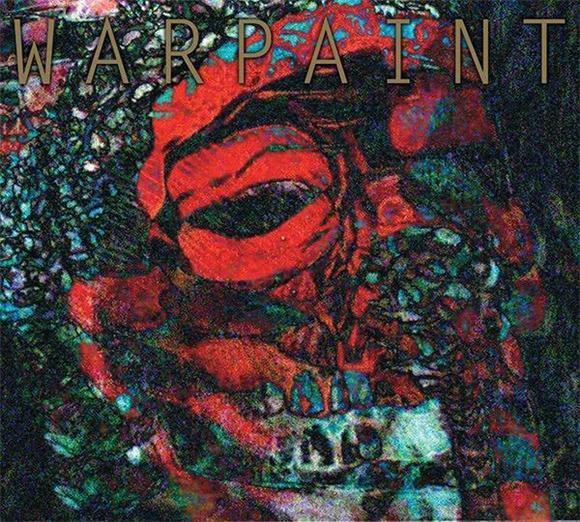 The song "Warpaint," is a standout, and it had better be, considering it's also the name of the band. (See Wilco's "Wilco," Talk Talk's "Talk Talk," and Bad Company's "Bad Company.") It contains all the elements that make this band intriguing: unexpected melodic shifts, unpredictable beats, sllppery, low-end bass and enigmatic lyrics. "Composure" begins as a waltz, with stacked unison vocals that sound like a playground chant and then switches to a funk groove straight out of Melle Mel's "White Lines." It's this kind of odd juxtaposition that Warpaint somehow manage to pull off, despite the odds. "Baby" is a stripped-down acoustic guitar ballad that pleads "Don't you call anybody else baby/Cause I'm your baby still." It's so uncool it's cool. "Majesty" contains some welcome sequenced synths, again quoting Nirvana with the opening guitar riff from "Come As You Are." Though they come across as tough, there's a real vulnerability at the heart of these lyrics. They sing "You could've been my king," and it's clear that tough, rock-chick cliches don't apply here. These girls don't want to rule. Warpaint traffic in mystery, which is more compelling than misery. Despite occasionally sloppy execution, they've made another dreamy, hard to categorize record. While there isn't anything here as immediately catchy as "Billie Holiday," from their EP, they've clearly outgrown their Cat Power stage and have successfully authored their own unique sound. The harder it is to define, the more you want to hear it.